Twenty20, the startup formerly known as Instacanvas, today announced that it has raised an $8 million Series A round led by Canaan Partners. With this funding round, Twenty20 has also finalized its transformation from printing service for Instagram pictures to photo-licensing service. Indeed, with over 45 million photos from 250,000 photographers in its library, Twenty20 is now larger than most established commercial image catalogs. 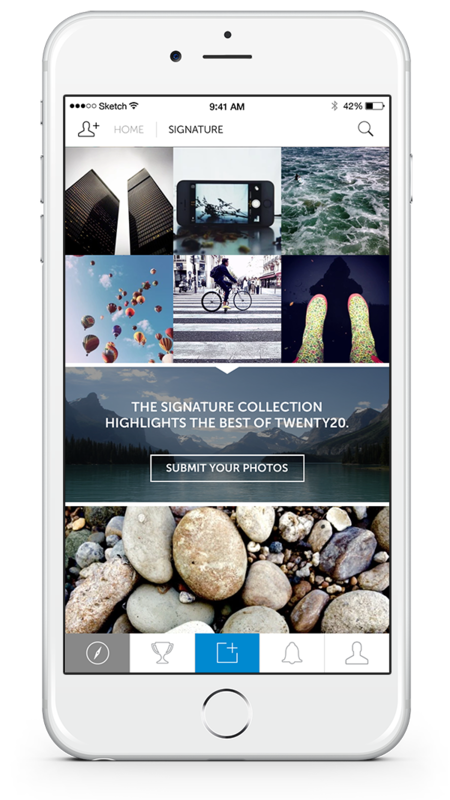 This, Twenty20 claims, makes it the largest crowdsourced image catalog ever created. The new Twenty20 now allows mobile photographers to make their photos available for licensing through the company’s web app or mobile app on iOS (Android coming soon). Businesses and agencies can then license these images for their own campaigns. Munson argues that as brands compete to stand out on social media, having access to images that feel native to that environment (and especially on mobile) is key. Pricing plans for the service, which was in private beta for the last few months, start at $89/month for 10 images and go up to $499/month for 100 images. The company is also offering one-off licensing deals for single images. Those prices are somewhat lower than those for comparable plans on services like Shutterstock and iStock. The service then shares the revenue with the photographers. Twenty20 has about 20 employees. The service has built a number of tools to automatically vet images to speed up its legal review of the photos it sells, but it will need to hire more reviewers and engineers to be able to scale its service out. In order to do this, the company decided to raise a new funding round now. Besides Canaan Partners, First Round Capital, Bullpen Capital and VersionOne Ventures also participated in this round. Munson tells me that he went with Canaan as the lead investor because of that firm’s experience with helping companies built around marketplaces. “When we first started, things were still very different,” Munson said. Nobody was talking about “mobile first” yet, there were almost no mobile ad units and smartphone cameras weren’t as capable as today. “We were very fortunate to build into very favorable trends,” he added.